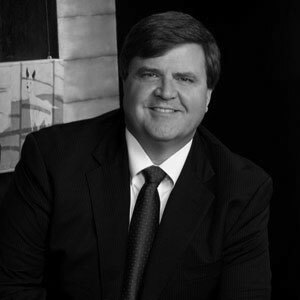 Bob Clarke has been a trusted advisor to CEOs and boards for more than 30 years. His acumen in executive search and integrated talent management is valued by hospital systems, managed care organizations, medical groups, indemnity companies, end-of-life care providers, healthcare associations, and other medical delivery systems across the United States. Bob concentrates his work at the board and C-suite level for providers and payers of every variety, creating successful recruitment processes and counseling boards and search committees. He also partners with boards of directors of healthcare organizations to manage C-suite transitions, develop succession plans, assess leadership teams, and implement leadership development programs. He serves on the Equity of Care Committee for the Institute for Diversity, part of the American Hospital Association (AHA). For more than a decade, Bob and Furst Group have sponsored diversity awards programs for Modern Healthcare. In addition, his writings on leadership have been published by Wharton Healthcare Quarterly, the AHA’s Trustee magazine and Modern Healthcare. In 1984, Bob joined a regional executive search firm (The Furst Group), where he developed a national division focused on healthcare executive recruitment. Through the creation of Management Partners, Inc. (MPI), he led the acquisition in 1991 of this specialized practice, now known simply as Furst Group, and the creation of NuBrick Partners, a team focused on the long-term development of teams and executive leadership. In 2018, MPI acquired Salveson Stetson Group (SSG), an executive search firm that, like Furst Group, has been recognized as one of “America’s Best Executive Search Firms” by Forbes. Furst Group’s deep experience in healthcare and SSG’s prowess in life sciences and other key industries create a formidable combination across more than 3,000 executive searches. Bob has led workshops on issues regarding effective leadership design, team selection and development, and managed care and provider relationships. He has authored studies on executive leadership issues for a variety of healthcare fields. He also serves on the Advisory Council for Global Partners in Care and is a past member of the Board of Directors for the National Hospice Foundation of the NHPCO, the Northern Illinois Hospice and Grief Center, Visiting Nurses Association and the American Red Cross, Rock River Chapter.